OLYMPIC GLORY (IRE) (Bay 2010-Stud France 2015, Aust. 2015). 8 wins-4 at 2-from 6f to 1m, £846,073, €694,295, Ascot Queen Elizabeth II S., Gr.1, Newbury Lockinge S., Gr.1, Longchamp Prix de la Foret, Gr.1. Related to SW Wootton Rivers, etc. Sire of SW Watch Me (Toulouse Grand Criterium du Languedoc, L), SP Got Wind, Mintd and of Grand Glory, Athmad, Blury, Inde, Motashakel, Pythion, The Olympian, Australien, Fantastic Glory, Glorious Spirit, etc. His oldest Aust.-bred progeny are 2YOs and inc the placegetters Flag Raiser, etc. The Art of the Bar (f. by Charge Forward). 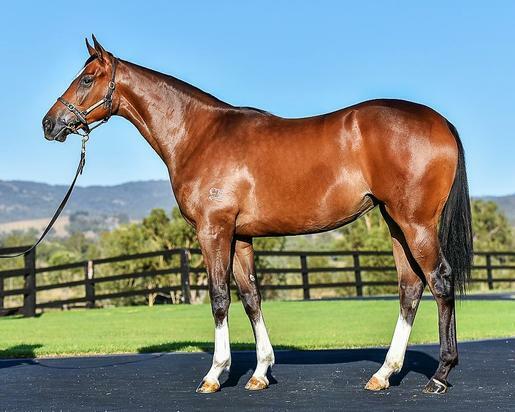 3 wins at 1000m, 1200m, A$128,155, in 2018-19, ATC ANZ Bloodstock News H., Construction Consultants H., 2d ATC TAB Rewards H., ANZ Bloodstock News H.
Personable (f. by Lonhro). 4 wins from 1400m to 2000m to 2017-18 in Aust. Kettering (g. by Sepoy). Winner at 900m in 2017-18 in Aust. Selectify (Redoute's Choice). 4 wins to 1200m, A$130,420, ATC TAB Rewards H., TAB Place Multi Sprint H., 2d ATC Dodo H., Wyong RC Provincial Championship Qualifier, 3d MVRC Red Anchor S., Gr.3. Laser Flash (Redoute's Choice). 3 wins at 1800m, 1900m, A$144,705, ATC Tab.com.au H., Australian Turf Club H.-twice, 3d ATC Dulcify H., L, Inglis 3YO Bonus H., Sportingbet H., 4th ATC Tulloch S., Gr.2. Personalised. 4 wins from 1100m to 1600m in 2017-18, SCTC Yalumba H., 2d Ipswich TC Carlton Mid H.
PERSONIFY (Galileo). Winner. See above.